Augason Farms Emergency Food Scrambled Egg Mix Survival Food Storage Disaster Prepardness Kit 2 Pack by American 3D Supply at Your Daily Food Choices. MPN: 753182983653. Hurry! Limited time offer. Offer valid only while supplies last. Our dried whole eggs are produced though a special process designed to provide a free flowing powder that has been pasteurized for your safety. 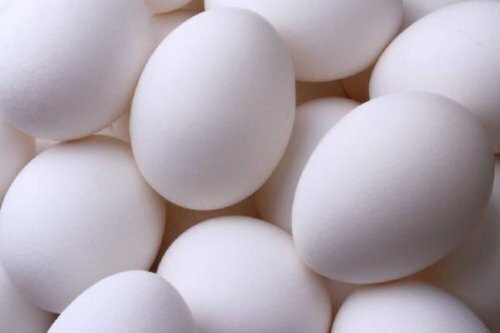 Our dried whole eggs are produced though a special process designed to provide a free flowing powder that has been pasteurized for your safety. Originally developed for use in the military, our dried whole eggs, when blended with water, reconstitutes into a product similar to fresh whipped eggs. These reconstituted eggs may then be used as a direct substitute for fresh eggs. Our dried whole eggs are produced exclusively from fresh eggs harvested from chickens in the United States. The eggs are spray dried and pasteurized in the USA for optimal quality and safety. If you have any questions about this product by American 3D Supply, contact us by completing and submitting the form below. If you are looking for a specif part number, please include it with your message.